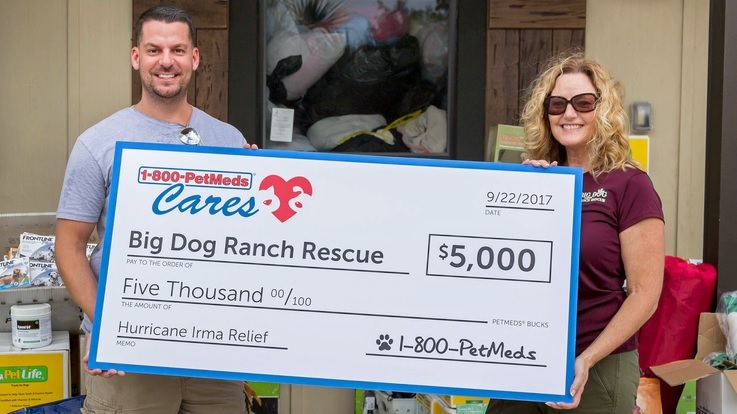 1-800-PetMeds Cares helps shelters and animal welfare organizations in a variety of ways, the main two are outlined below. Your organization will earn a $20 donation for each new customer you refer to us. You’ll receive a specific link to track your referrals. Share it on your website, social media and in emails to your supporters. Most importantly, we will also provide free handouts with your unique link to give to new pet parents. Once your supporters start shopping through your unique link, you’ll receive monthly payments based on your new customer referrals. By referring just one new customer a day, your group will earn $600 a month. 1-800-PetMeds Cares™ organizes donations of non-prescription medications and pet supplies items to shelters and rescues within the continental U.S. These donations often consist of returns, manufacturer samples, or products with damaged packaging. Are you interested in applying for a 1-800-PetMeds Cares™ donation for your organization? Visit the Request a Donation page and fill out a form! For more ways PetMeds Cares helps pets, please see our How We Help page.